Volvo’s vision for 2020: Death Proof Cars! 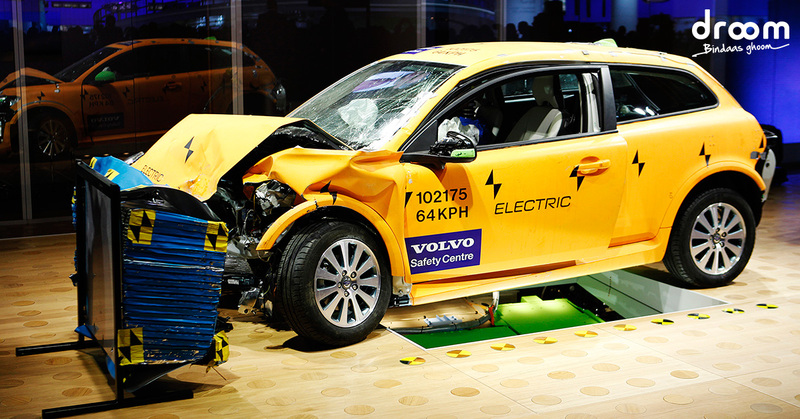 Volvo has been known for manufacturing safest cars on the road for decades. The launch of Tesla Model S and Model X has shifted this recognition. Currently Tesla cars hold the record for a vehicle with the lowest likelihood of causing injury to occupants. This means that there is a competition for the title of being the world leader in safety in automobile industry. Volvo has boldly set a vision that no one will be killed or seriously injured in a new Volvo scheduled to be available by 2020. Volvo is focussing on safety from every angle by putting together extensive suite of advanced technologies to give its customers a so called, deathproof car in four years. Volvo has used exhaustive research, computer simulations and thousands of crash tests with data from real-life collisions to come up with innovative technologies to put an end to fatalities and severe injuries on the roads. All these safety technologies combined together is coined as IntelliSafe by Volvo. Advanced cameras,sensors and radar technology is used to detect obstacles. The main challenge is to put together all these features in one vehicle. Since 1927,Volvo’s philosophy has been to deliver pioneering innovations that put people first. They have designed cars keeping in mind quality,safety and care for environment. They take safety very seriously. Through innovative features they are trying to make driving more enjoyable, convenient and free of accidents. Even if driver is not in autonomous mode, safety features of the car will ensure the protection of driver. Volvo’s cars are not meant for the suicidal maniacs who really wants to hurt themselves. By 2020 Volvo dreams to redefine safety standards for automobile industry. Hopefully they will live upto their bold declaration and make driving experience more safe.